Joseph managed to accumulate over $26,000 in fines and costs in 12 courts, plus incur 30 months of court-ordered license suspensions. A DMV representative said he had “the worst record they had ever seen.” Then he learned about DTW from a probation bulletin board. 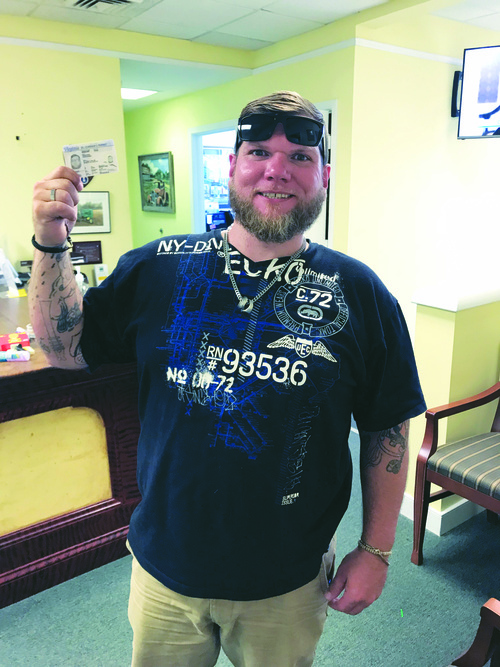 With some financial help from friends and DTW’s assistance, after five months Joe now has a restricted license. Joe said that having a license has changed his life dramatically – no longer having to look over his shoulder when he drives. He is now self-employed and living in Henrico. His company is called "Joe Ferguson Home Improvement and Creative Ideas."